We never made it to the apple orchard this year, so I snagged 20 lbs of apples at Publix when they were on sale (99 cents a pound is hard to beat!) 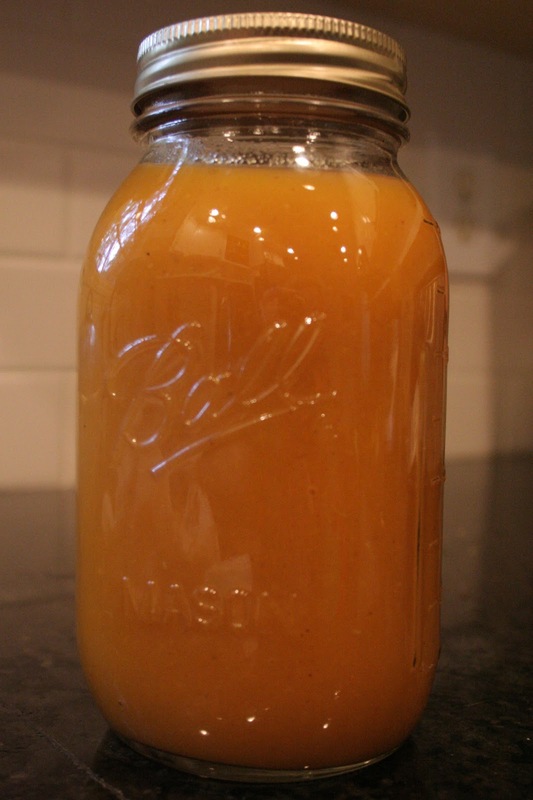 and made the largest batch of butternut squash applesauce EVER. Oh my goodness it's good. It's a great way to get a veggie in your little ones and it also makes a GREAT first food for babies. Here's the recipe from two years ago...goodness where did this baby boy go? You could definitely adjust the spices to your liking, I think some pumpkin pie spice would be delish instead of cinnamon and nutmeg. I probably only used 1/8 cup of sugar and mine was plenty sweet. Depends on the sweetness of your apple variety. Enjoy! I'm also trying out this recipe for Butternut Squash Lasagna this week as well. Sounds amazing... I'll let you know.